You know exactly what you want in your new Vancouver area home, and you're already comfortable searching online. So VancouverJustListed.ca gives you access to the most powerful real estate search engine of all current MLS Listings in Vancouver. You control the search and only spend your time seeing properties you're really interested in. Since You're Doing the Searching, We Pass the Savings on to You! Buy your new home through us, and we'll split our commission with you. That's right, we'll cut you a cheque for up to 50% of our commission within 7 days of closing! When we represent you for sales under $600,000, we only claim a flat fee of $4,500* commission from the seller, and pass the rest of the traditional buyer's agent commission on to you, within 7 days of closing. That means on a $500,000, you'll get a cheque for over $3,405 within the week! For homes that sell at $600,000 or more, we split our commission with you, 50-50! Negotiating the best possible price and terms, helping you navigate the home-buying process, and protecting your interests every step of the way. Plus, we can provide detailed information about the property and the area, including market data, sales and active listing history information, taxes, comparative market analysis, and even our professional opinion on any property you decide to preview. We will even connect you with our network of home inspectors, mortgage brokers, and lawyers for smooth, hassle-free completion. And then—just a week after closing—we'll hand over your share of our commission. Use the windfall cash for new furniture, some lanscaping, your next vacation, or even set it aside to help you pay down your new mortgage even sooner! We'll arrange for certified building inspectors, mortgage brokers, notaries and even lawyers, should you need. We take care of all offer documents and contracts, and coordinate all legal and financial follow-up with all lawyers, notaries, and the buyer's agent, right up until completion day when we arrange the transfer of keys. 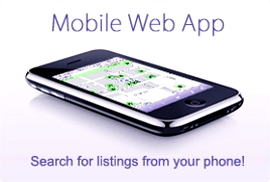 Sign up and explore using Vancouver's most powerful real estate search tools. There's no commitment, and you can do as many searches as you want. Sign up to get full access, including email updates when new properties that meet your need hit the market! You won't get is any spam or annoying sales calls. A free mortgage prequalification lets you know about how much you can borrow to buy your new home. If you haven't been pre-approved for a mortgage loan, you can start now. Once you find a property you want to see, just click the link in the listing to let us know and we'll arrange a personal showing. When you find your dream home, we'll work with you to craft a winning bid and negotiate the best possible price and terms on your behalf. Then, just 7 days after closing, you'll get your refund cheque for up to 50% of our commission! Commission Refund to Buyers does not apply to properties currently listed with Victor Mironyuk of TRG Downtown Realty and does not include commission bonuses. We reserve the right not to refund commission to buyers should the standard amount of our time and effort spent with such buyer exceed such standard. Typical Buyer's commission is 3.255% on the first $100,000 and 1.1625% on the balance. This is just an example of a typical rate, since there is no standard commission rate, and not all Realtors® charge the same commission rate. Our base fee payable by listing brokerage is $4,500 + $250 deal fee + bonuses if any. We reserve the right to keep the entire commission in circumstances when lowest mortgage rate provided by our mortgage broker partners to the buyers upon purchase. Refund is subject to a Federal Tax of 12% which will be remitted from the total refund. Refund applicable to new clients only. You cannot use your refund as part of your down payment or to cover closing costs.